I was really curious about this coconut truffle recipe. No baking…15 minutes ready??? And it is true! They are so tasty, so good, so easy! 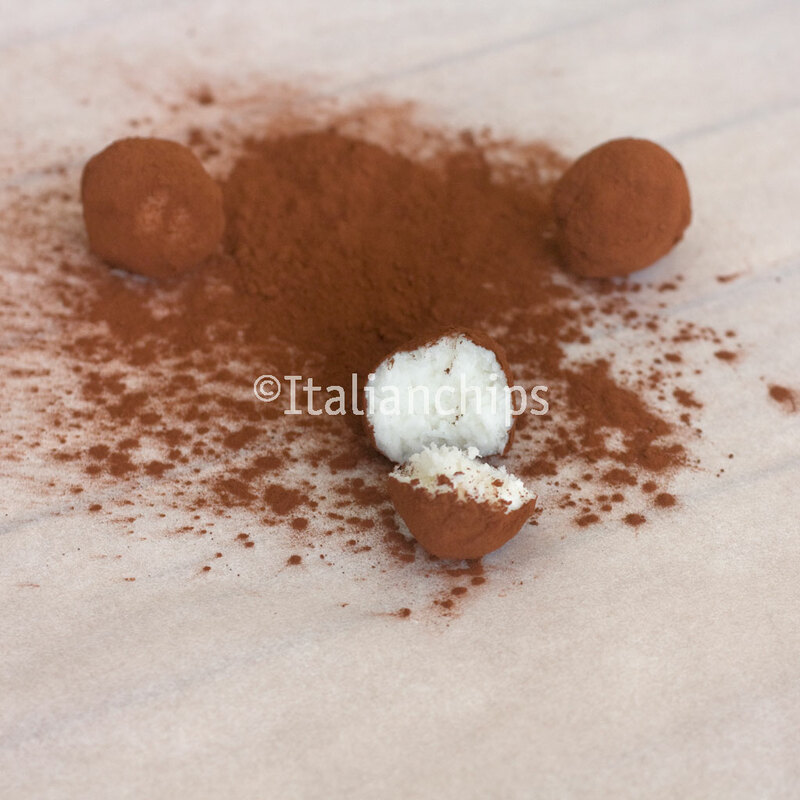 It is perfect to present someone when you’re invited to dinner, it’s perfect for any occasion as you really need little time to prepare this irresistible truffles. 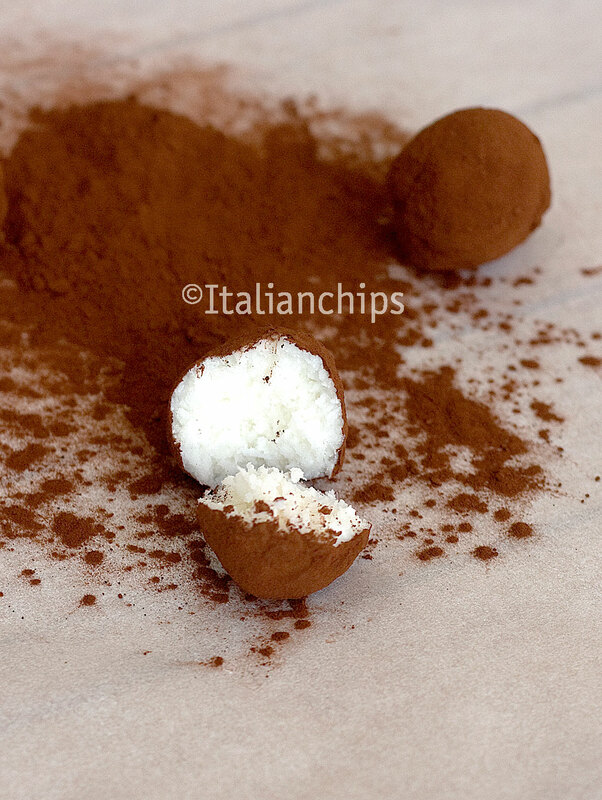 I found this fantastic coconut truffle recipe on this Italian blog which is fantastic: Arabafelice in Cucina. Mix the coconut flour with the icing sugar and the cream into a bowl. Begin with a fork and continue with your hands until it becomes a homogeneous dough. Put some unsweetened cocoa powder on a dish or surface. Make coconut balls and, after having all done, roll them onto the cocoa powder (if you roll them as you prepare the others, the cocoa will color the truffles).